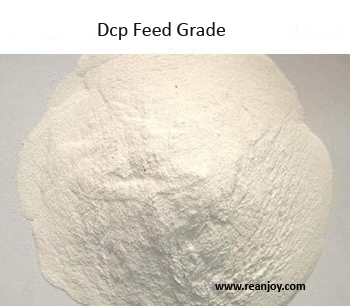 Reanjoy is a premium manufacturer of DCP (Dicalcium Phosphate) feed grade supply. Enhance the vitality of your cattle livestock with this rock based Dicalcium phosphate. We employ the latest high end production procedures so that our product is compatible with all BIS standards. Our service is growing well with international export inquiries coming in. Most of our clients are located in Rajasthan, Gujarat, Haryana, Punjab, Himachal Pradesh, Delhi, Utter Pradesh, Madhya Pradesh, Tamilnadu, Andhra Pradesh and we also regularly supply to the rest of India. The feed grade salt serves several important health functions. Calcium strengthens bone matrix and improves muscle strength. Many owners in our country maintain a livestock of Cow, Buffalos, Camels, Horses, Goats etc for hardy work. Supplying sumptuous amounts of DCP in the fodder gets you highly productive animals to survive strongly in the harsh desert climate. In addition, as a conscious provider, we are aware of the fact that the DCP in the animal body would ultimately reach a human body through dairy products. This is the reason the product is made with greatest safety concerns, employing all the years of valuable experience from Dr. Jagveer Singh Chundawat. The qualified organic chemist also holds a Ph.D in Synthetic Chemistry. All inquiries are welcome directly to Mr. Singh. Many clients prefer a direct assessment of our production unit, and you are always welcome for an exporter inquiry. Organic Impurities absent and Pass the microbiological, As & Pb tests.